Bitcoin should be regulated and even taxed, according to a European Central Bank (ECB) governing council member. Ewald Nowotny, head of the Oesterreichische Nationalbank, Austria’s central bank, said in an interview with German paper Sueddeutsche Zeitung that anyone who participates in a financial transaction should be clearly identified, on top of paying value-added tax (VAT). 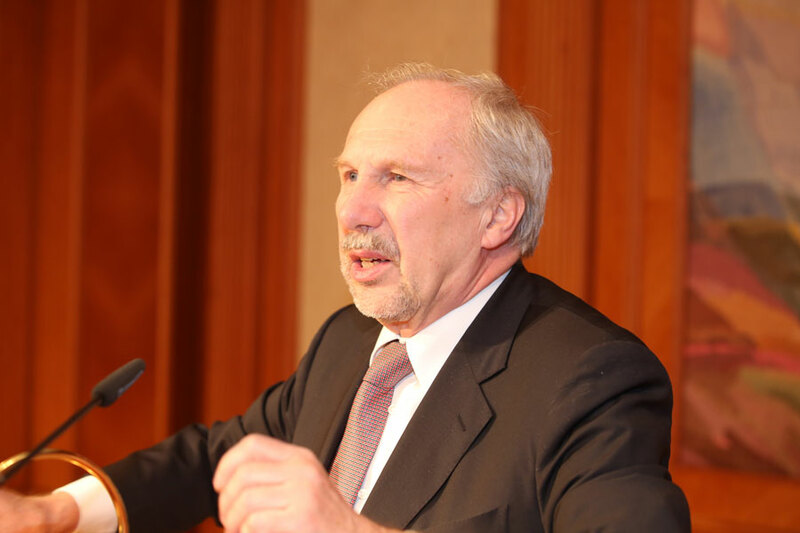 Nowotny’s comments come just days after ECB executive board member Benoît Cœuré told Caixin Global that bitcoin is in a bubble. Like his Austrian peer, Cœuré said one of the main concerns surrounding bitcoin relates to tax evasion and money laundering. Both bankers declared that bitcoin is not a currency, with Cœuré adding that investors would not be able to use it as a means of payment. However, he did say that distributed ledger technology (DLT) in general shows promise for wholesale and retail applications, noting the ECB’s recent joint venture with the Bank of Japan to research use cases for the tech. While central banks worldwide are looking into how to use DLT to update or replace existing financial systems, the technology is still too young for any meaningful implementation, he said.